While SEO (search engine optimization) will help attract relevant visitors to your website, what happens after they hit your website and begin taking action can be managed with a CRM. In fact, without a CRM, you’ll be hard pressed to get a return on your efforts. While there are enough CRMs to feed an army, this post is going to focus on Hubspot. But Hubspot blows them all out of the water. Sure, they all have many similarities (activity tracking, note-taking, templates, open tracking, etc. ), but there are a few key differentiators with which Hubspot leads the charge. That said, here are the five BIG reasons why we believe Hubspot is the best CRM tool on the planet. Ten years ago, there was a dividing line between marketing tools and CRMs. Marketing tools were used by the company marketing team to drive and distribute leads, and then the sales team would add the leads to their CRM for the sales process. Marketing and sales were two distant friends. Now, a good CRM marries the two. It creates smarketing. Hubspot does an incredible job of this. In fact, every account has a tab at the top left that makes it easy to hop between a marketing or sales dashboard. Everything inside the software directly links between the two as well. The problem with about 60% of the software programs I listed earlier is that they only cover one aspect of a CRM – sales. To buy an additional add-on. And if it requires a separate tool, it’ll have to be integrated with a third party like Zapier. Many moons ago, our agency used Infusionsoft for about a year. It was a pretty incredible tool and was our first real step into the world of higher-level CRMs. With cool gadgets like automated workflows, task management (eh, not the best), tagging, and introduction to the glorified lead scoring, we were in love. Unfortunately, though, we never knew where people came from or what pages contacts were visiting, and we couldn’t run any in-depth reporting. 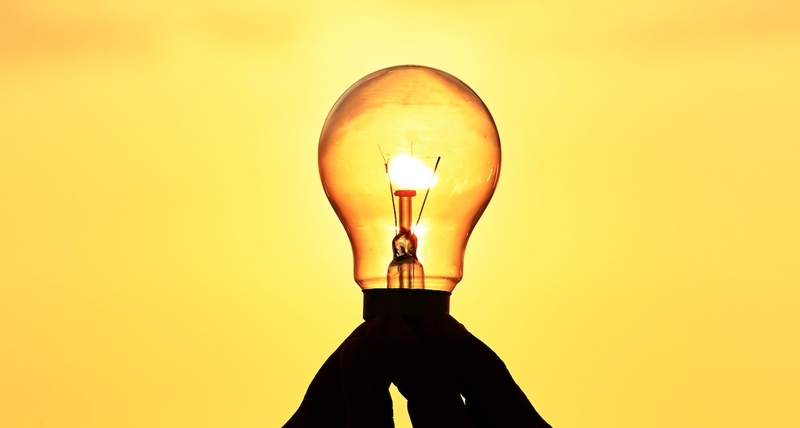 As a marketing agency that helps customers generate leads and close deals, it’s utterly important to have in-depth insights. What recent pages did Mr. Hot Lead just visit in the last week? What platform did he come from? Facebook? LinkedIn? Twitter? Adwords? Where is all our traffic coming from? What percentage of deals close from social media vs paid ads? Hubspot delivers that information with beauty to help focus your efforts. And just in case you want to know what pages he’s looking at. Boom. We also use HubSpot to track revenue, keeping an eye on our progress. These reports give us the ability to make small or big tweaks to our strategy, adapting what we do to our progress. We also use revenue reports to track our closed revenue for the year and then set quotas. 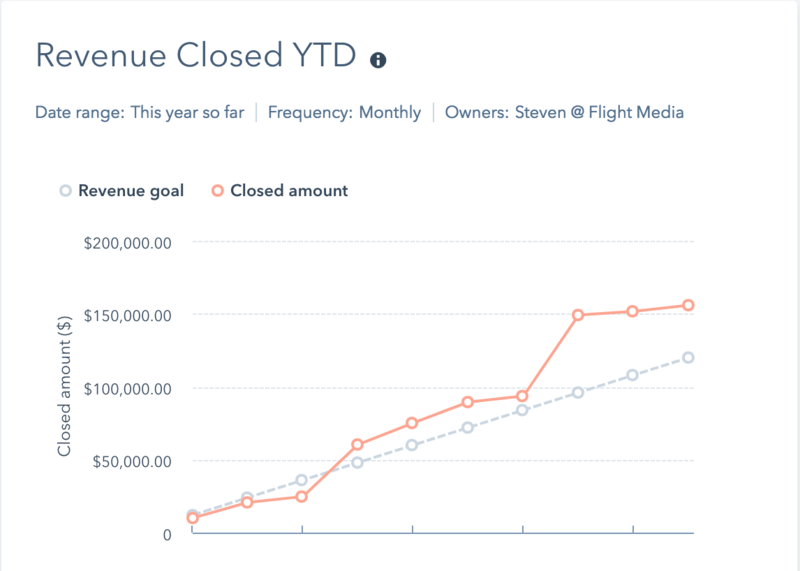 Caption: A HubSpot report that shows closed revenue in 2018. 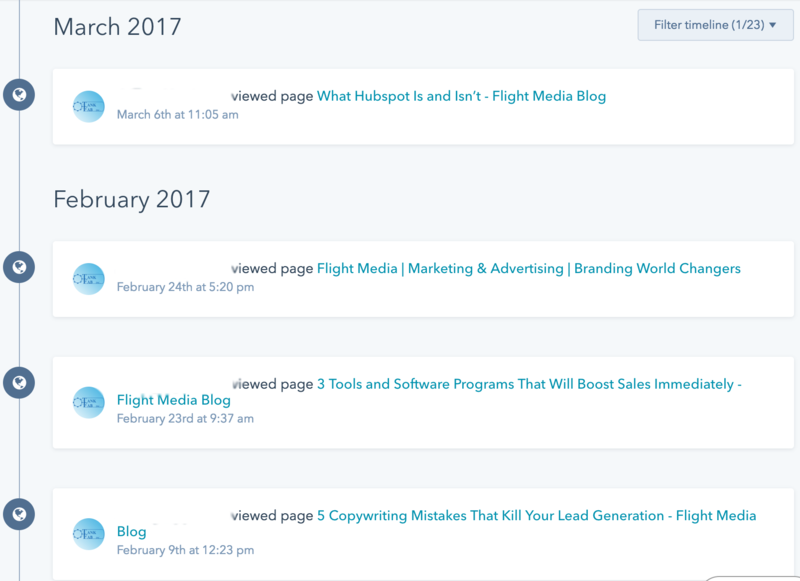 Another area in which HubSpot’s reporting tools come in really handy is with daily sales activity. Our sales team members have daily, weekly, monthly and annual sales goals to meet. HubSpot allows us to set reports to monitor our sales activity. 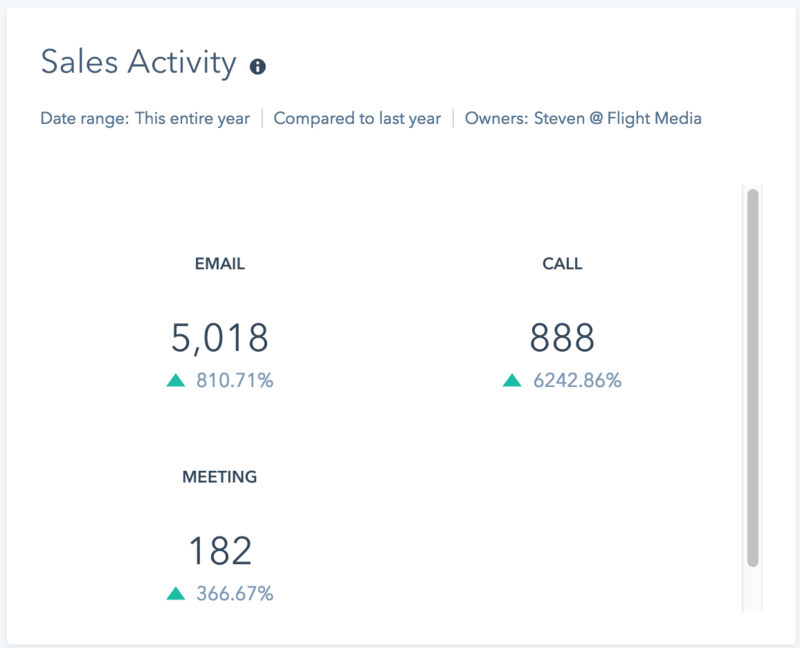 We track three main sales activities: emails, calls, and meetings. Sometimes in life, there are things you never knew you wished you had, until you find them. Sales sequences is one of these. When you begin pursuing a lead, chances are, you send them more than one email. Email #1: Hey, you filled out a consult form. When works best? Yada-yada. Email #2: Hey, I haven’t heard back, click here to book a time. Yada-yada. Email #3: I’m crying a river, please talk to me. Yada-yada. Email #4: I’m breaking up with you. But what if you could enroll certain leads in certain sequences that will automatically input their name, business, etc. and drip them certain follow-up emails until they either reply or book a meeting on your calendar? That’s what Hubspot’s Sales Sequences tool does and it’s super-easy and effective. 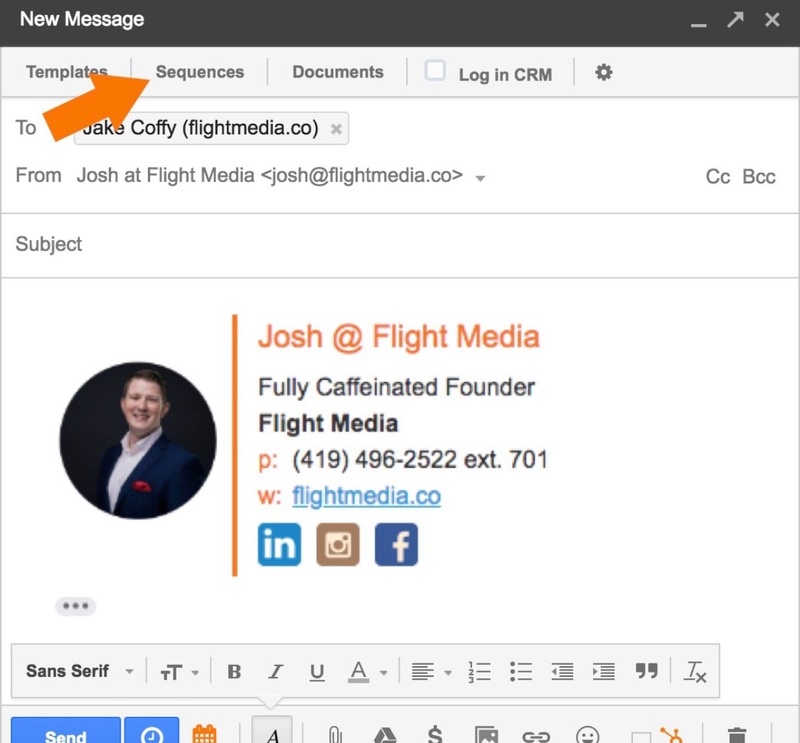 First, you draft an email and click “sequences” straight from your inbox. These sequences work like a charm and are worth their weight in gold. And they take minimal effort to do something you already would be doing. Once they do, they’re unenrolled from the sequence, so that they no longer get your emails! You know that awful feeling you get when you look like an idiot while trying to book a meeting with a prospect? 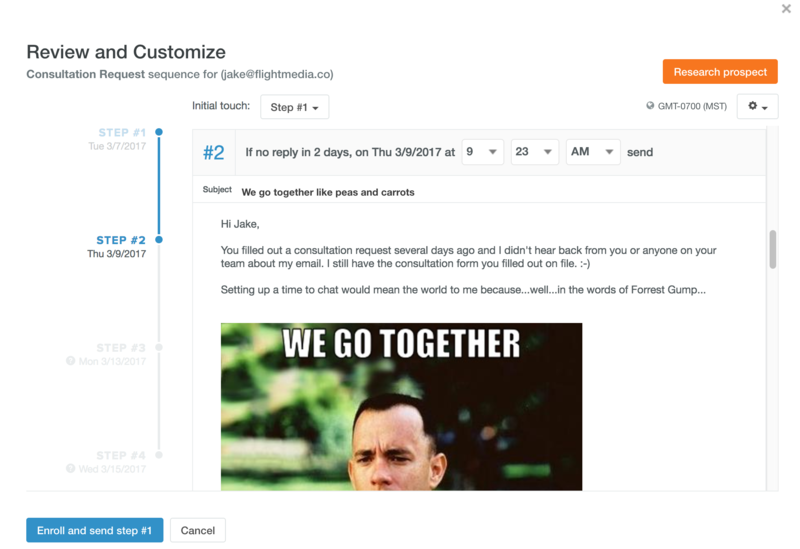 While there are a bunch of meeting tools out there like Calendly or Assistant.to, Hubspot gets me more compliments than my hair. 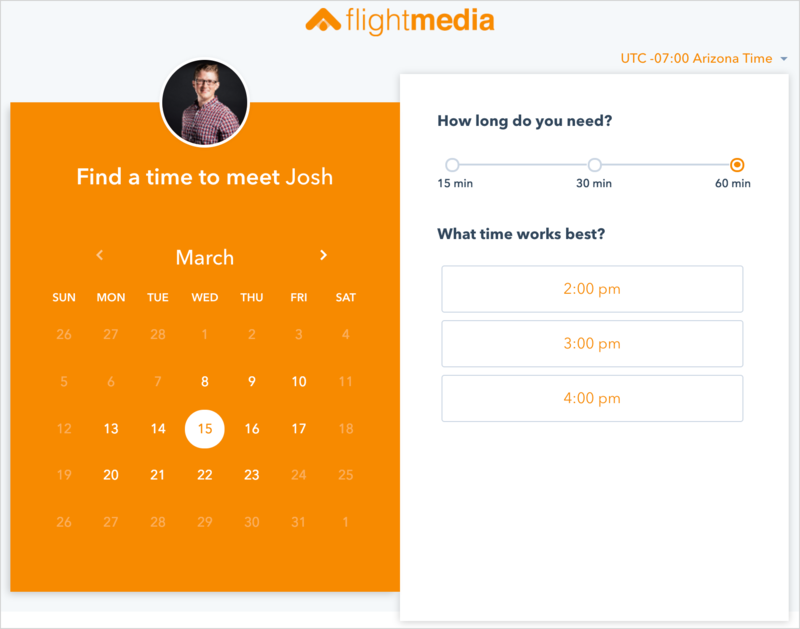 It’s slick, branded to your company, syncs with your calendar, integrates with the Sales Sequences tool, and adds the booked meeting to the lead’s contact record in the Hubspot CRM. This isn’t the largest factor, but it’s one of those nice-to-have features that eliminates the need for an additional software. Not to mention, it’s incredibly professional. How valuable would it be if you got an email every time your assigned leads visited your product/services page? 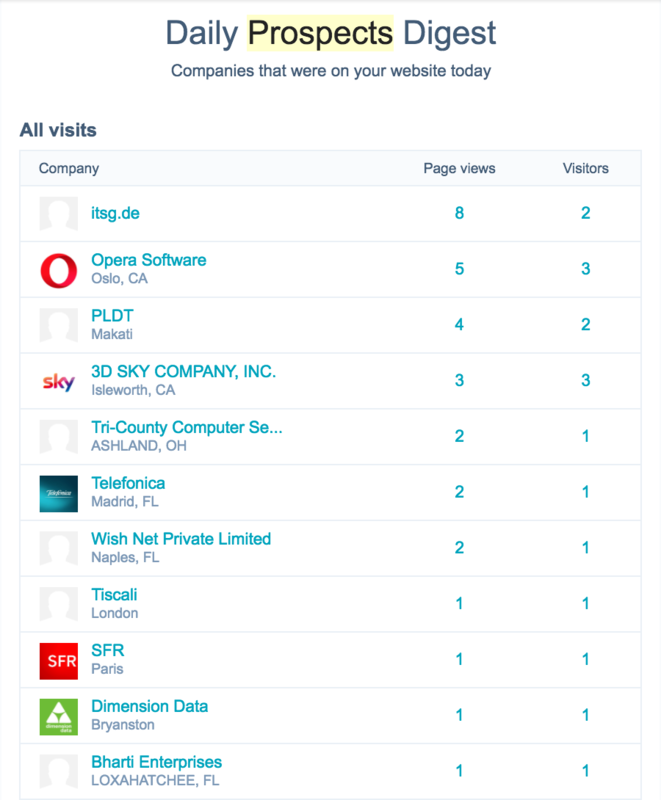 Or what if you got a daily email of all the companies and prospects who visited your website? Or how about if your billing team was notified when it’s time to invoice customers? It would be pretty powerful, wouldn’t it? If you can dream it, Hubspot can do it with notifications. 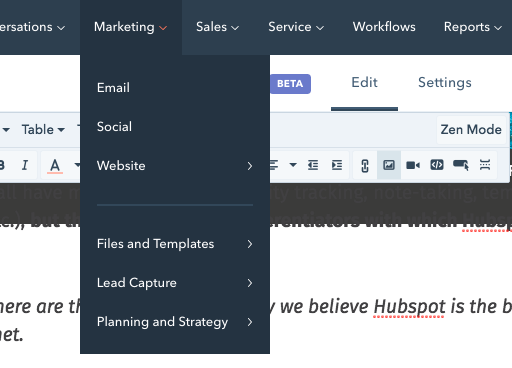 Compare the tools feature-to-feature and you’ll see that Hubspot has unlimited users, the exact same features (and then some), and it has the marketing platform that isn’t an upsell. But if I did have to describe Salesforce in one word, it would be something along the lines of: Clunkforce. CRMs are a dime a dozen. You have an unbelievable amount of choices at your fingertips. 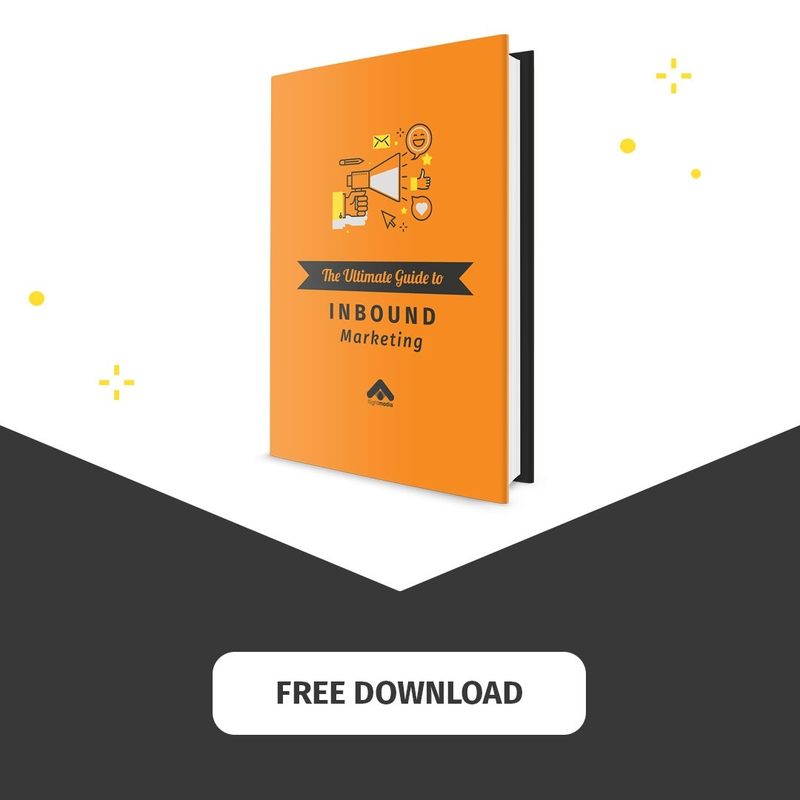 The goal of this post is to educate you a bit on Hubspot and why we use and love Hubspot. It doesn’t mean all other CRMs are inefficient and bad. Test a few. Scrap a few. But do what’s best for your business. What CRM do you currently use and what’s something you found unique about it? Share it in the comments below!